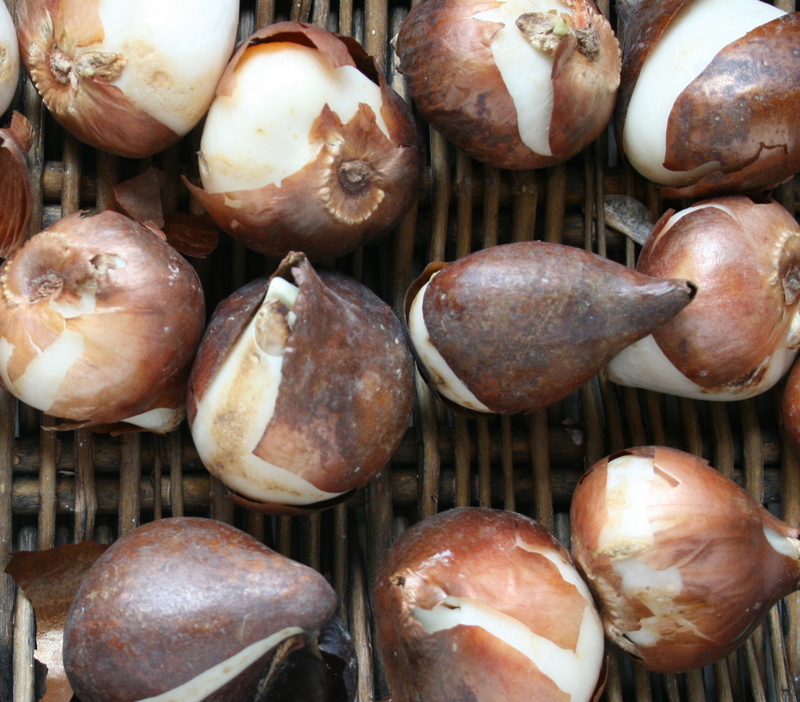 To force bulbs for February blooms they need the cold treatment. 35 to 48 degrees for at least 12-13 weeks. The greenhouse or potting shed work well for this or even the vegetable drawer of your refrigerator. Bring out when they are done chilling and force in jars or pots. You can enjoy blooms indoors long before the garden wakes up in the spring. I wonder what the husband would say if he found bulbs in the crisper drawer. That said, I appreciate the specifics. We have a 2nd frige though so I usually leave them in that one! Minnesota Prairie Roots comment made me laugh because my husband puts his beer cans in the crisper drawer, LOL. I just planted 50 bulbs outside and do containers of them every year – such fun in spring! Dreaming of spring all ready!